The one problem I have found with Google Talk on an Android device is how it signs me into Google Talk automatically whenever my phone is connected to the internet. It is pretty easy to disable this however in the Google Talk settings on your phone. Actually even when you turn on your phone (depending on the Android phone) it will automatically fire up Google Talk and before you know it you get a flood of instant messages from friends and business associates on your day off. In order to disable it just open up the Google Talk app and hit the menu button and go to the settings. There is a check box there which is probably ticked. This setting is aptly named ‘Automatically sign in’. Remove the tick and problem solved. There are other ways to stop people from messaging you while having the comfort of being constantly connected and that is to set your status appropriately. Consider adding the words “currently mobile” as a preset status message. You might also just go into offline mode so you can see who is around in order to contact them when you feel like it. It is nice to have Google Talk open all of the time in some form if you are bored while travelling (as long as you are not the one driving) and it allows people to contact you easily in case of emergency. If your Google Talk status is set to “currently mobile” then people are likely to understand if you don’t respond. If they take offense because you haven’t responded then just lie and say that you weren’t around your phone when the message was received. There is a mod available that allows people to see if you are on a mobile device. I am not sure if Google will integrate this as a standard Google Talk feature in the near future – however, they really should. A few times I have messaged someone who was mobile and curtly told that they were mobile and can’t respond easily. I wouldn’t have instant messaged them if I had realised they were in transit or at work. Maybe they should have set their device to “currently mobile” (snicker). Having instant messaging software on a mobile device is a good thing – especially for those of us who despise text messaging (guilty as charged – I much prefer calling someone rather than sending them a message that is easily taken out of context). So, in summation you do have a few options if you are sick of having Google Talk automatically sign you in. If you like having the ability to use Google Talk while mobile then consider changing your status to accurately reflect that you are on a mobile device – if you just hate it then disable it from signing in. You may not be a Google Talk user and not have anyone in your contact list anyway – of course you can just add selected friends from other messaging networks because Google Talk is a cross protocol client. I have an android and today I keep getting these messages telling me “google talk authentication failed” I do not use google talk and this is all news to me. I just started receiving these messages and it wouldn’t be so bad if I wasn’t receiving one every 15-20 seconds!!!! I can’t get it to stop! it is using up all of my battery life….please someone help!! I have tried this but my android phone doesn’t have automatic sign in check box that I can find. I am having one problem with Samsung Galaxy S2. I sign – in google talk and log-out, but when i was trying to login gtalk, my friend id is already sign- in. So, can you please tell me “how multi-user can sign- in in goolge talk” or How can i remove my friend ID, so that other can sign in. Hi, the above solution doesnt really work. Inspite of unchecking the autologin check box. You will still find yourself logged in the next time you open the talk app. What is worse is that one can concurrently see the chat contents on the tablet even if you are chatting from your laptop in the “off the record” mode. I am also having the problem with Samsung Galaxy P7\. 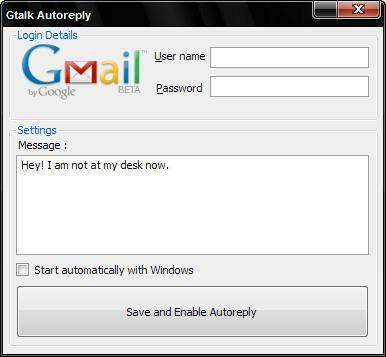 how do I – in google talk log-out, then login with my a different user Id. I cant log out and it automatically log in with my previous id. So, can you please tell me “how multi-user can sign out and in, in goolge talk” or How can i remove my credentials from google talk, so that other can sign in. I have unticked the sign me in automatically button, but it does not and keep signing me in with my first user name. How do i bring up a converstion with someone from my google talk app on my mobile phone to my google talk on desk top. When i open it up on desk top my converstion with that person isnt there? its a bug which Google needs to be solve! its a bug which Google needs to be solve, it may be done in the next update! my experience tells me this was a mistake. I am having one problem with Samsung Galaxy Fit. I sign – in google talk and log-out, but when i was trying to login with my friends Ids it automatically log in with my previous ids. So, can you please tell me “how multi-user can sign in in goolge talk” or How can i remove my credentials from google talk, so that other can sign in.